If corporate hospitality is the name of the game, Great Yarmouth has some superb options, from venues where your clients will be guaranteed to be able to let their hair down and have some fun, to more formal pursuits. Quasar at The Mint, Great Yarmouth, is an unusual alternative if you're looking for seriously competitive corporate entertainment for 2 - 30 players. An amazing atmosphere for an unforgettable experience. Corporate hospitality is easy at Great Yarmouth Racecourse. The recently built Lord Nelson Grandstand has nine different sized hospitality suites, most with balconies looking out over the race track and towards the sea. 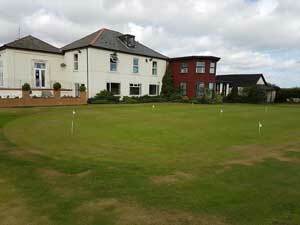 Browston Hall Country Club, in the village of Browston near Great Yarmouth, is great for corporate leisure activities boasting a golf driving range and Par 3 pitch & putt course. Browston Hall also has a fine restaurant and bar. 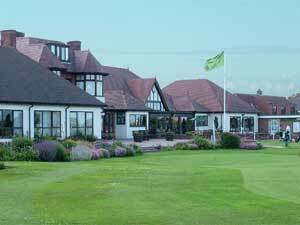 Gorleston Golf Club, Great Yarmouth, is an 18 hole course located on the clifftop coastline and is an excellent choice for corporate activity for players of any ability. 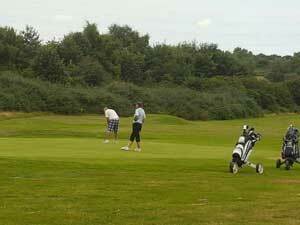 The club has excellent clubhouse and restaurant facilities. Fritton Lake Outdoor Centre near Great Yarmouth is a great venue for corporate entertainment and corporate bonding activities. 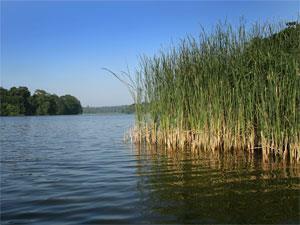 With so much choice including: canoeing and kayaking, archery, orienteering, windsurfing and bushcraft. 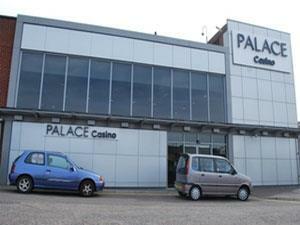 Palace Casino, Great Yarmouth, is an ideal place to visit for corporate entertainment. Open from 12pm until 6am daily with an excellent range of gaming tables and slot machines and a superb bar and restaurant. 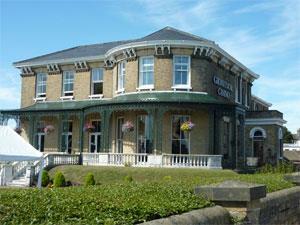 Great Yarmouth Racecourse usually has 24 race meetings a year between April and October. With races taking place in the afternoon or evening, executive suites overlooking the course and marquees opposite the finish line are available where you can wine and dine your clients. 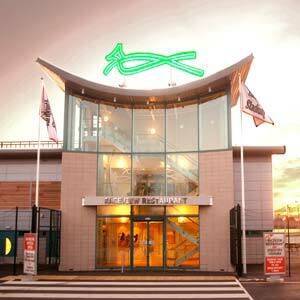 For something a little less formal, but still with all the thrill of a potential win, Yarmouth Stadium has three executive boxes, situated next to the finish line. 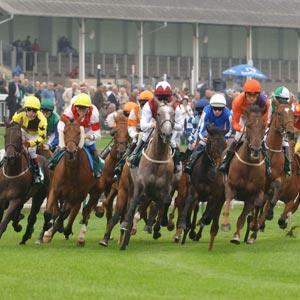 With greyhound racing all year round on a Monday, Wednesday and Saturday, and three course meals served directly to your box where a full bar is available, this is an evening out that's just that little bit different. 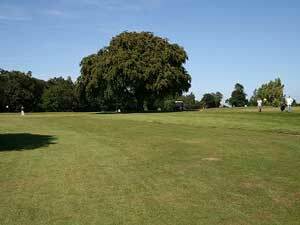 There are four golf courses within easy striking distance of Great Yarmouth, 18 holes at Great Yarmouth & Caister Golf Club overlooking the race course, 18 holes at Gorleston-on-Sea Golf Club and at Caldecott Hall Golf Club at Fritton, as well as a 9 hole par 3 course with driving range at Browston Hall Country Club. All clubs offer day membership. 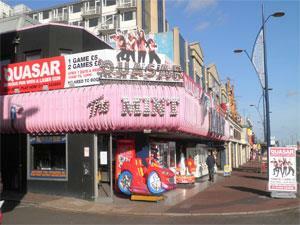 Great Yarmouth has two casinos, both of which can provide catering and corporate hospitality options. 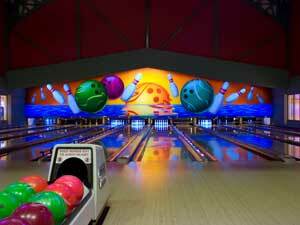 Other evening pursuits to be recommended are ten-pin bowling at the Wellington Pier, where a full bar and views over the beach can be enjoyed. If you want to inject some fun and informality into your customer relationship management roller-skating is an unsual alternative, or if you're looking for an energetic team-building activity, Quasar laser quest or activities at Fritton Outdoor Centre are something a bit different to consider.